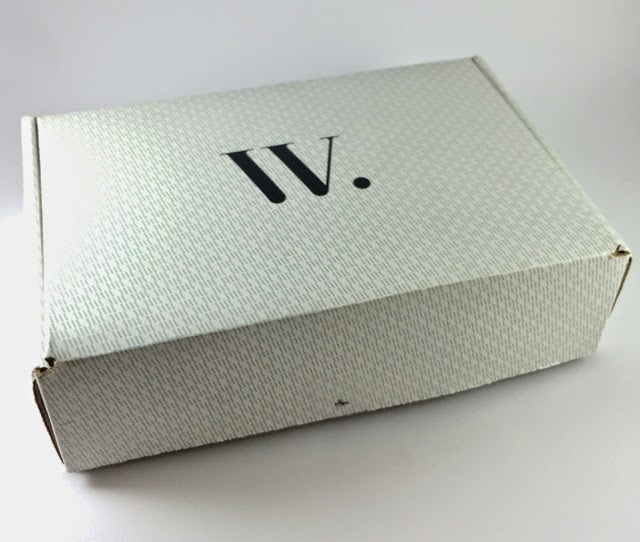 Wantable is a high end subscription box with three options to choose from monthly: intimates, beauty or accessories. Wantable was kind enough to provide me a beauty box to review here! Wantables beauty box is $36 a month with a subscription or $40 for a one time order. Wantable has a pretty varied quiz to provide you with the items that they know you'll want. You can even exclude options that you know you won't use. 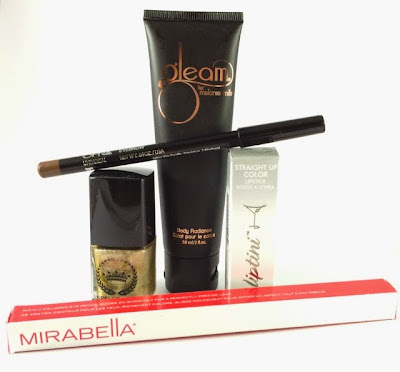 This month I received a Liberty Republic Spellbound Nail Lacquer, Gleam by Melanie Mills Body Highlighter, Mirabella Eye Definer, a 'Tini Beauty Lipstick and an Ofra Brow Pencil. I've tried 'Tini Beauty's nail lacquers but, this is the first experience I've had with their other products. 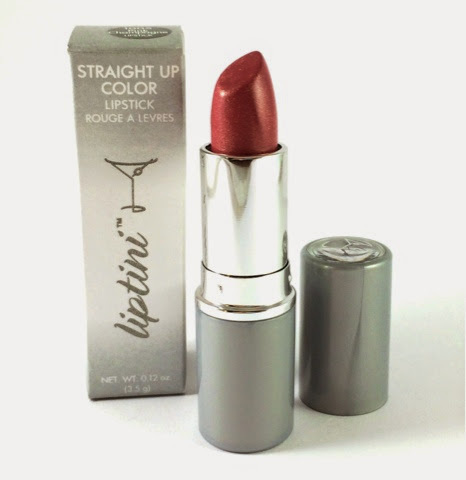 Pink Champagne is a peachy pink brimming with gold shimmer. Application was fine but, I feel Pink Champagne is a little juvenile for me. The shade is intensely glittery. Before heading to work I decided it was just a little too much and wiped it away...and wiped it away....and wiped it away. I don't know what they use in this stuff to bond it together but, I"m starting to think that it's superglue. This glitter will not come off! It actually ended up spreading all around my mouth and now I look like I've been dining on unicorn meat. I think I'll be skipping this one. I've been very into taking care of my brows lately. It really changes your whole face for a more intense focal point on your face. 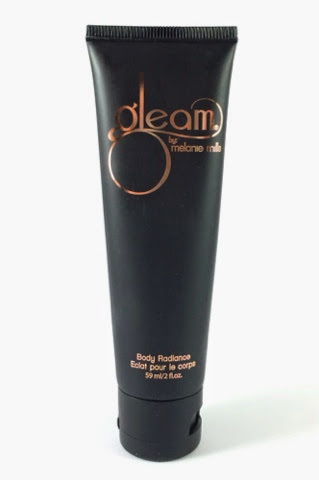 I've been testing different products to see what kind of mediums and brands I like. 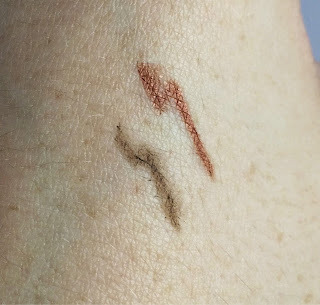 So far I've been using Whitening Lightnings Brow Bar in light which includes two powder shades and a tinted wax. 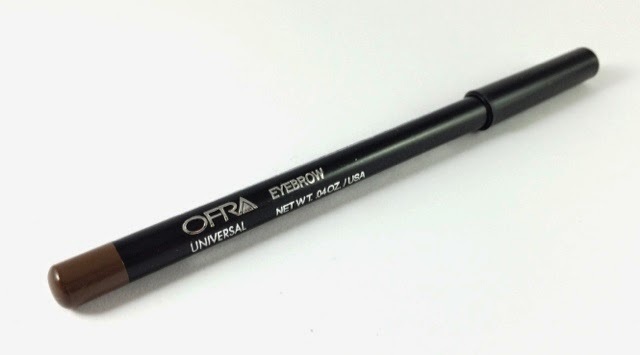 Ofra's Eyebrow Eyeliner is a waxy brunette shade that is perfect for me. If you only need a pencil to fill in this is a great option. However, I need some kind of finishing wax or gel to hold my brows in place as well. 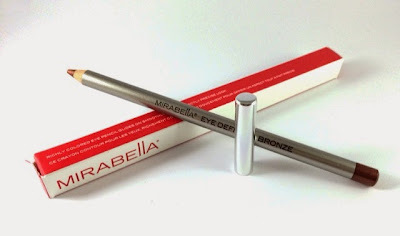 This little eye definer can be used on your lid as a shadow or as a metallic liner (metallic's are in this summer). The metallic sheen is gentle enough on this that I'd feel comfortable wearing it to work. Added bonus, this shade is absolutely amazing to make blue eyes like mine pop! I haven't had the privileged of trying Spellbound Nail Lacquer before but, I am so glad I did! This metallic gold formula was perfection! I want more! Overall, I got an amazing value of just over $90 and I loved almost everything in my box! You can check out a Wantable box for yourself here. What was your favorite item from the June Wantable Beauty Box?